Most people don't consider sheep or goat hunting when they're thinking about hunting in Oregon, but hunting Oregon goats and sheep offers some of the state's best challenges. 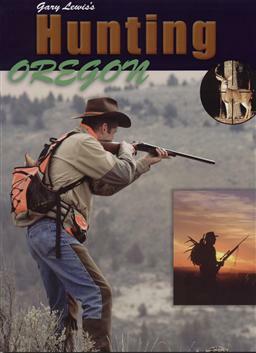 Hunting goats or sheep can be a challenging new experience and it can be an inspiring introduction into hunting Oregon. Below, Gary lists out some of his favorite stories about hunting sheep and goats in Oregon. Some days are mountaintop days. June 20, 2006 was one such for Bend resident AJ Conte. The 8th-grader had drawn one of two tags for a bighorn sheep in the Alvord-Buckskin No. 1 hunt at the southern tip of the Steens. Matt McDowell pulled away from the spotting scope and turned. “We need to take a closer look at this goat.” Scott Tibbs, sore from nine miles in the saddle and dizzy in the high altitude, scrambled for his pack and rifle. Tibbs followed McDowell down through the scree, a descent of 400 vertical feet into the basin. Then they attacked the ridge. In the thin air, his lungs burned with exertion. The tops of his legs were on fire as the hunters traversed shale slides where the rock shifted and slid underfoot, and pulled themselves up, hand over hand, through granite chimneys. “Turn around. And look at your dad.” Steve whispered. 600 yards away, 28 year-old Mason Payer sat staring into the canyon trying to find the sheep. He was focused on the wrong spot. The sheep were there. If Mason would turn, he could see them.Mason had said, ‘no radios’ and Steve Payer agreed. But until Mason turned around, his only option was mental telepathy. ‘Turn around. Look at your dad,’ he commanded. Sykes put down the phone and told his customers he had to go outside. He shut the door and stepped out into the alley. Here, with no one to see him, he did his happy dance. He’d made the phone call to the Oregon Department of Fish and Wildlife to check on the results of his tag applications and learned he’d drawn hunt No. 570C for bighorn sheep in Oregon’s controlled hunt lottery. Hunting is more than meat in the pan, and more than a moment’s decision to squeeze the trigger. It’s the anticipation, the chase, and the time spent with a father or child on a crisp September morning when hope rises with the sun.